Weight Loss / Weight Management – I offer two approaches to this – either the individually tailored Metabolic Balance Weight Management programme. Or Pay As You Go nutritional therapy appointments. Food Sensitivity Testing – I use Kinesiology muscle testing to assess food sensitivities – this is an inclusive part of a consultation with me. I can also arrange biochemical testing for food intolerance – including gluten and dairy sensitivity and coeliac disease. My name is Vicki Gotham. 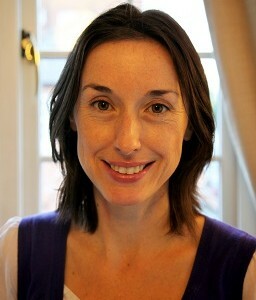 I am an experienced Nutritional Therapist, Kinesiology Practitioner and Weight Management Coach. My aim is to support my clients in improving their diet and lifestyle in order to address their health issues. I have experienced firsthand the dramatic effect that dietary changes can have on overall health. I travelled extensively in my 20’s and became very run down. My diet was terrible. Something had to change. That is when I discovered the world of complementary therapy. It helped me hugely and I have been hooked ever since! I qualified in Nutritional Therapy 10 years ago from the prestigious Institute for Optimum Nutrition. I am a member of the British Association for Applied Nutrition and Nutritional Therapists (BANT) and the government recognised Complementary and Natural Healthcare Council (CNHC). In seeking to help clients with stubborn weight issues I have also trained as a Coach in the internationally renowned Metabolic Balance® Weight Management programme. I have more recently added Kinesiology to my list of therapies. This is a holistic therapy using the body’s bio-feedback mechanism through muscle testing to gain information about the client. Having experienced this incredible therapy numerous times myself I was compelled to train as a practitioner to add a whole new dimension to my consultations. First there will be detailed discussion of current health concerns and health history. I am always trying to piece together the puzzle of what led to what! I will ask you to complete a diet diary and will analyse this – specifically looking for approximate levels of macro and micro nutrients in your diet – are there any obvious deficiencies or excesses? I also usually undertake a session of kinesiology muscle testing – this can be incredibly useful for investigating possible underlying issues in your health – for example food intolerances, digestive problems and hormonal imbalances. I can arrange biochemical tests if there seems a need – these can give extra information into digestive health, food intolerance, hormone balance, thyroid and adrenal health). However, often we start with the discussion, dietary analysis and muscle testing and see where that takes us – it is usually quite enlightening! I practice from the Traditional Acupuncture Centre in Leamington Spa, however I can offer phone and Skype consultations too. I see clients of all ages – male and female. Health issues are diverse, though I do find that digestive problems, fatigue, hormonal and skin issues are very common – and usually interlinked! My aim is to offer achievable and practical dietary advice to get to the root cause of poor health and to start to improve it from Day One.